Check out the latest Hack Your City project! Smart Bus Stops Done Dirt Cheap! San Francisco’s Bus stops are already kinda smart, they have those cool Next Bus arrival signs, and some detailed maps of bus routes. Those help answer a few questions people have when they are stuck at the stop. 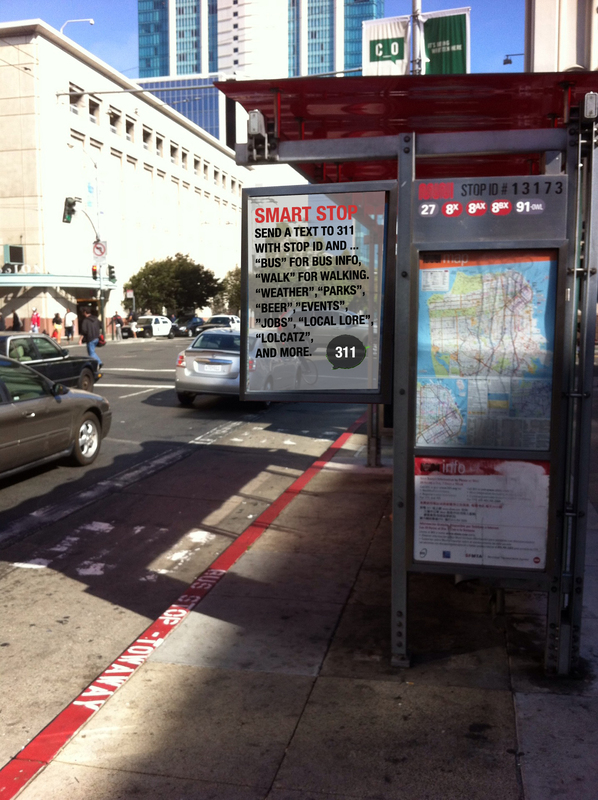 Smart Stops is a project to help bus stops answer all kinds of local questions though. Think of it like Siri for the block. You’ll be able to ask your favorite neighborhood smart bus stop all kinds of things. Just text in a question and your bus stop will send you a answer. How do I take the bus to Golden Gate Park? You’ll get SMS directions you can carry with you on your trip. Who’s got the best burritos in this hood? Where’s the local health clinic? We’ll ask around and find out for you. Smart stops will also collect stories from the neighborhood to share if you ask nicely. This project came about because of the always awesome GAFFTA and their upcoming Urban Prototyping Festival. Hack Your City was invited to submit a project. We are honored to have Smart Stops included in the selection of urban interventions for the festival. All of the projects chosen have a mix of open source technology, public art, and had to be easily built by others in any city. 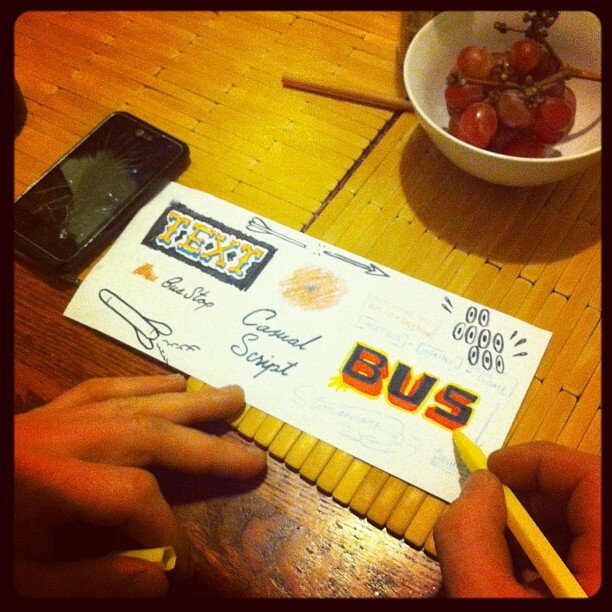 We chose to make Smart Stops a text message app so that it would be more accessible to people who are riding the bus. I’m not really feeling making a smart phone app, it just doesn’t seem as important. The spirit of this festival is create open source art that any one can clone and easily reproduce in their own city. By creating a SMS service, our Smart Stops art project can easily be built in any city in the world. There are parts of the globe where text messaging is used way more than the internet. Smart Stops is ready for these places already, no digital divide, no expensive hardware, just any easy code base to upgrade your bus stops. We’ve got a talented crew of Hack Your City hooligans making this happen. We got people coding the backend, the questions, and the SMS service. You can check our work in progress code at https://github.com/visiblethinking/sbsdc. We’ve also got urban hackers hand building our signs from reclaimed materials. We’re hand painting them with classic hand styles. The’re gonna be fly.